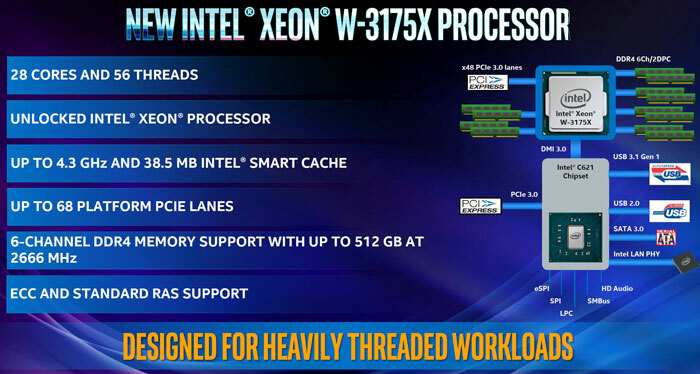 Intel has announced that the Xeon W-3175X processor is available with immediate effect. This processor was first officially detailed back in October 2018. 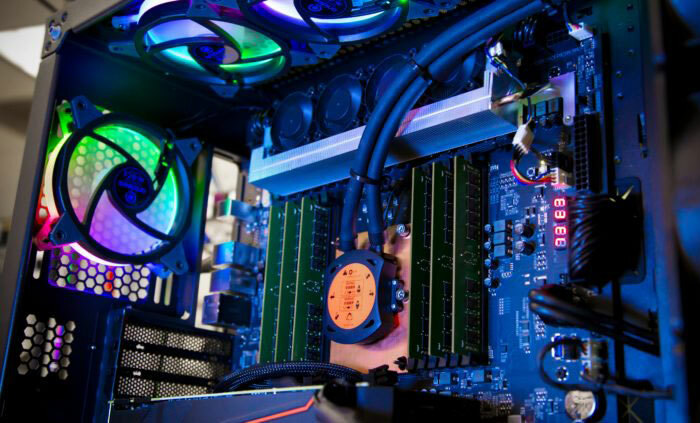 However, earlier in the year at Computex, it was the unnamed processor behind an Intel demonstration, overclocked to 5GHz with a 1770W water chiller unit attached. In Intel's own tests, the Xeon W-3175X processor was pitted against the Core i9-9980XE processor and achieved 1.52x performance in the Unreal Engine Infiltrator demo. Both systems sported a Gigabyte GeForce GTX 1080 (GV-N1080TTOC-8GD), an Intel Optane SSD 905P Series 480GB SSD, plus Windows 10 Pro 64-bit – but the Xeon system came with 6 x Samsung 8GB DDR4-2666 RDIMMs (rather than 4 x Kingston HyperX 16GB DDR4-2666 UDIMMs in the other system). If you are interested in acquiring a new Intel Xeon W-3175X processor, it carries an MSRP of US$2,999. Intel directs potential customers to system integrators which regularly build powerful desktop workstations. Quick off the mark, with this video recorded earlier this month, der8auer offers a closer look at the Intel Xeon W-3175X and the supporting Asus ROG Dominus Extreme motherboard in his lab. Not content with running this multi-threaded monster on the LGA 3647 motherboard using common-or-garden tests, der8auer does some thermal testing of the new Xeon after delidding it and replacing its stock thermal paste with his preferred Liquid Metal TIM. 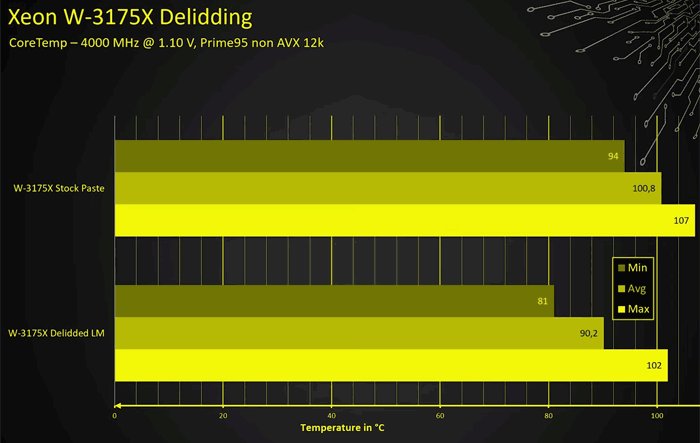 In conclusion, the thermals after delidding and switching the TIM weren't as drastic as with some other Intel chips. However, this large processor's coolest cores could be up to 13 degrees cooler, while the hottest core was 5 degrees cooler. On average the cores were almost 9 degrees cooler with Liquid Metal paste (see chart above). How does it make sense to have no proper mount retainer thing for the cpu? The max temps being over 100c..is that normal for these high end Xeons ? Because that seems bonkers. Big workstation Xeons have always kicked out a lot of heat, but that does seem a bit high for a working temperature. In my humble opinion, 107 degrees is at least 8 over the limit.